Our Veterinary Nurse, Lesley has been at All Creatures since January 2015. 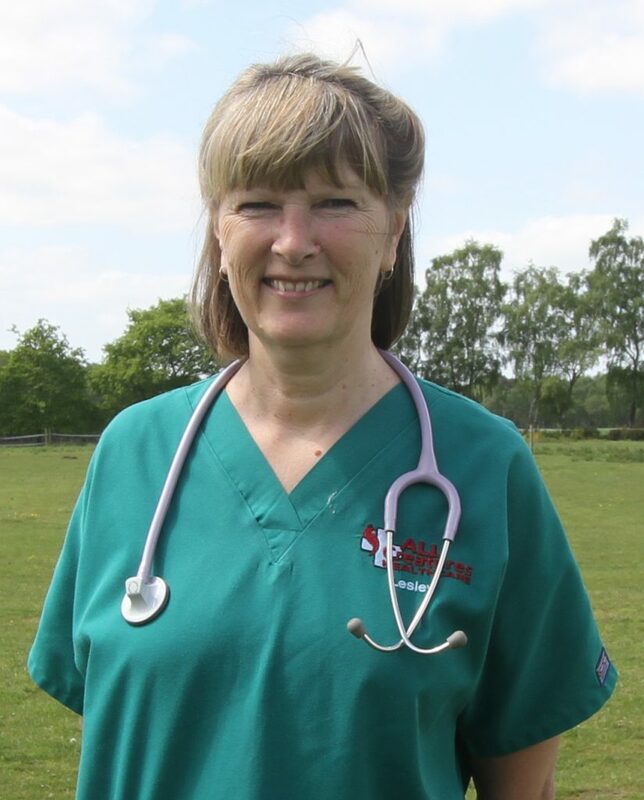 With many years experience in veterinary nursing, Lesley is the perfect person to oversee our puppy classes. Lesley, also, has her own pet tortoise, which is why she is also the best in the practice to look after our tortoise patients. Veterinary nursing was never the plan for Lesley’s career. However, after applying for a human nursing course and finding all the places full, Lesley found her way into a career in veterinary nursing by chance and has never looked back. Outside of work, Lesley enjoys boating, socialising, reading and walking.